Located near the Beavercreek Towne Center and Fresh Thyme Farmers Market, our Beavercreek restaurant is the perfect lunch stop for your family. Stop by after perusing the Shoppes at Beavercreek or the Mall at Fairfield Commons for a refreshing dining experience everyone will love. Whether you’re a displaced Chicago native or a deep-dish pizza lover living in the Buckeye state, Giordano’s has the perfect meal for you. Get the taste of Italy delivered to your home in Beavercreek. 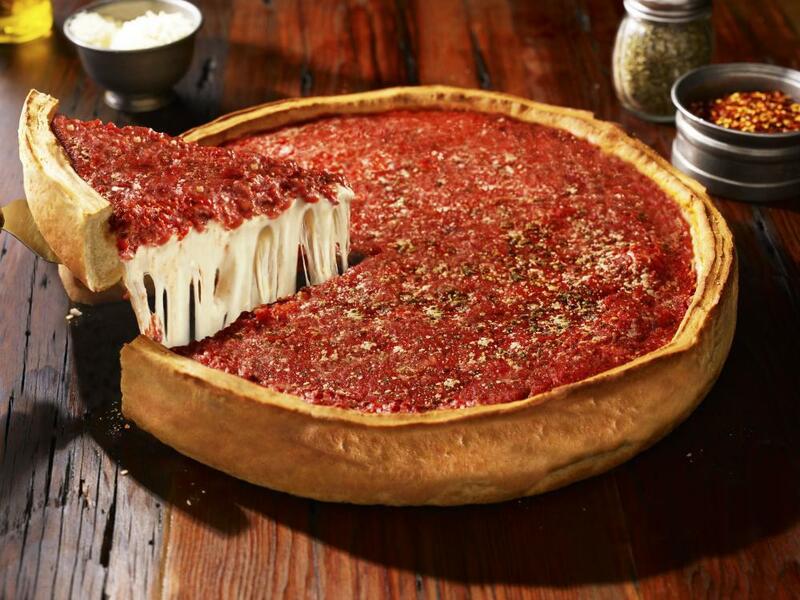 Since 1974, Giordano’s has been named the home of the best deep-dish pie because we use the best ingredients. Our recipes come straight from Torino, a small town in Italy. Now you can enjoy the taste of authentic, Italian-style pizza in the middle of Greene County. Enjoy the combination of Wisconsin mozzarella cheese, a slow-baked double crust, and wide variety of starters in our dine-in restaurant or delivered right to your home. From our salads to our gluten-free options to our sandwiches, Giordano’s has something everyone will love. Bring the whole family down to our restaurant in Beavercreek or order online for the best deep-dish pizza delivered right to your door.